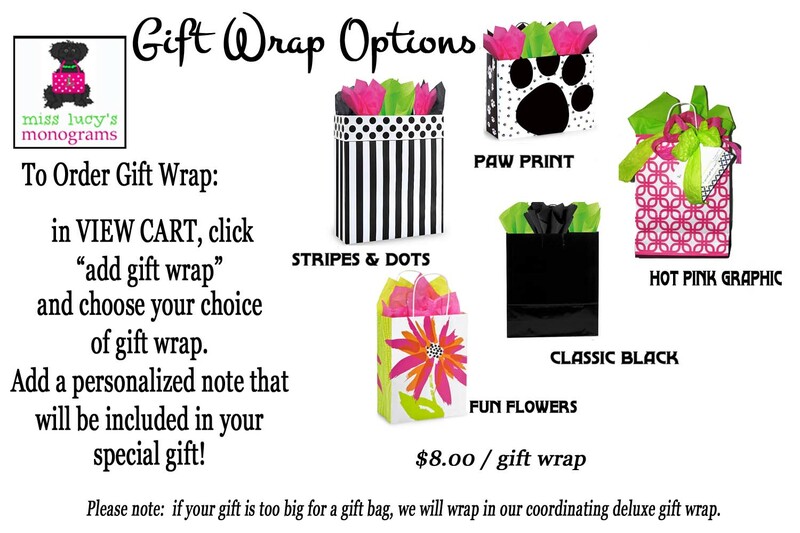 PERSONALIZED MONOGRAM included in the price! All of our miss lucy's monogrammed accessories are custom, personalized items, and therefore, we cannot accept returns. Please be VERY CAREFUL as you enter the information for your order. On apparel, please check the sizing charts listed / shown in our images on each product and measuring instructions included for each apparel item...and please email us if you have any questions. We cannot accept returns for choices you have made that were not correct. Once you submit your order, we will send you a confirmation email for your order so that we both agree on the information submitted. If you want to CHANGE ORDER DETAILS, please email us within 24 hours of receiving your order confirmation. We will send you a confirmation that the order has been changed. After you have received your order, and you notice AN ERROR WE HAVE MADE or you notice A DEFECT in the item, email us immediately, and we will send you a replacement item or offer you a refund. Again, we cannot accept returns on choices you have made when ordering. You have 15 days to contact us in regards to a refund for a defective item. We wish our items could last forever, but that isn't realistic. We carefully select each item offered at Miss Lucy's Monograms keeping style and quality in mind. 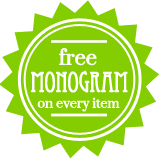 If you have purchased a nonmonogrammed item, and wish to return within the 15 days, you will be refunded the price of the item ( shipping not refunded). Miss Lucy's Monograms does not share nor sell any of our customers information. We continually work to provide a secure shopping experience by using industry standard data encryption. Security features include password protection for our databases, encrypted information storage, and regular purging of any personal data gathered during the transaction process that is not necessary to complete and fulfill said transaction. We restrict access to your personal information to only those employees that need to know that information in order to provide service. Credit Card information is not stored on our server, all transactions are completed through our third party processor PayPal one of the nations leading ecommerce transaction providers. 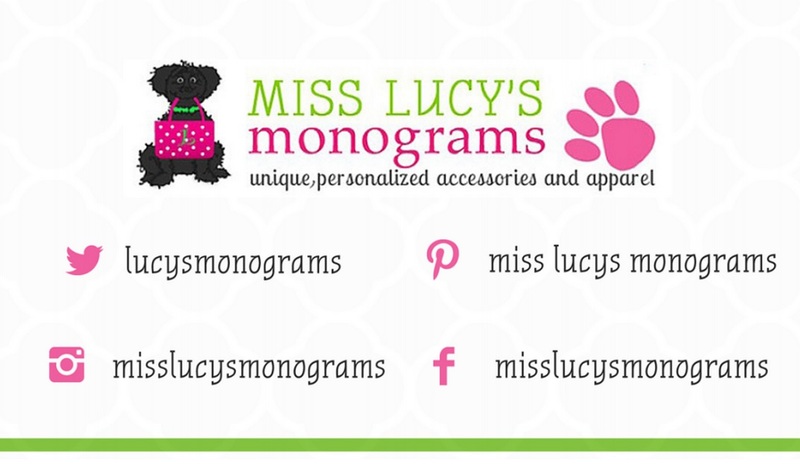 Please do not hesitate to contact us at miss lucy's monograms! We are happy to answer any question you may have as we want you to be a happy, satisfied customer! Our Studio hours are 9am-5pm, Monday-Friday. Thank you for shopping with us, and we look forward to creating your special order!